I’ve never been to Portugal. My sister lived in the Algarve, in Valdomos–Valley of the Owls, 13 kms from Messines, where she got fabulous fresh seafood at the market and fresh bread the size of a chair. For several years, she grew her own oranges, lemons, tomatoes, almonds, figs, olives and herbs. She made fig stars, fig cheese and wonderful fresh fish and shellfish dishes. Pre-heat the BBQ on high. Sprinkle coarse salt liberally on sardines 5-30 minutes before grilling. 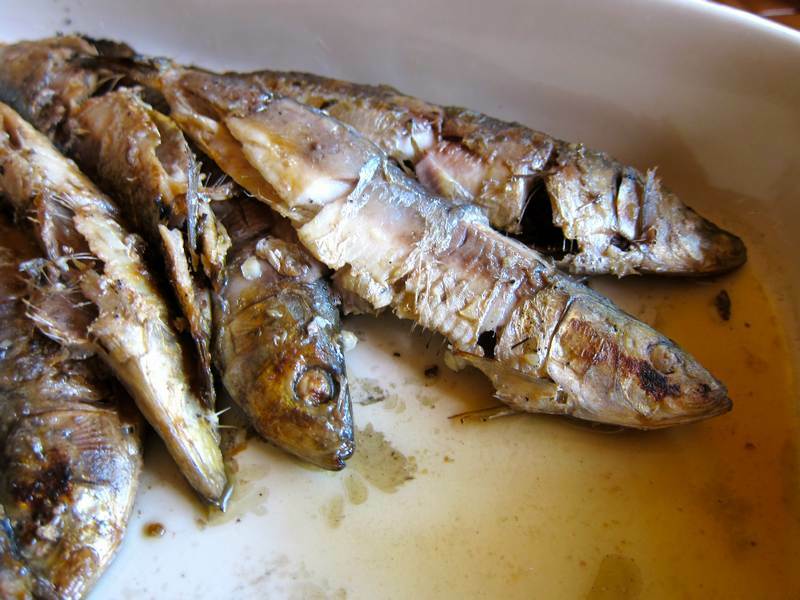 Mix the garlic, lemon juice, black pepper and oil, and coat the sardines with the lemon-oil mixture just before placing them on the grill, either in a perforated BBQ grill pan or in a BBQ grilling basket. Lower the heat to medium low, then cook the sardines for 4 minutes before flipping and cooking them for about 4 minutes on the second side. It is not necessary to baste the sardines while cooking them. If you are using a gaz BBQ, it should be closed while cooking. 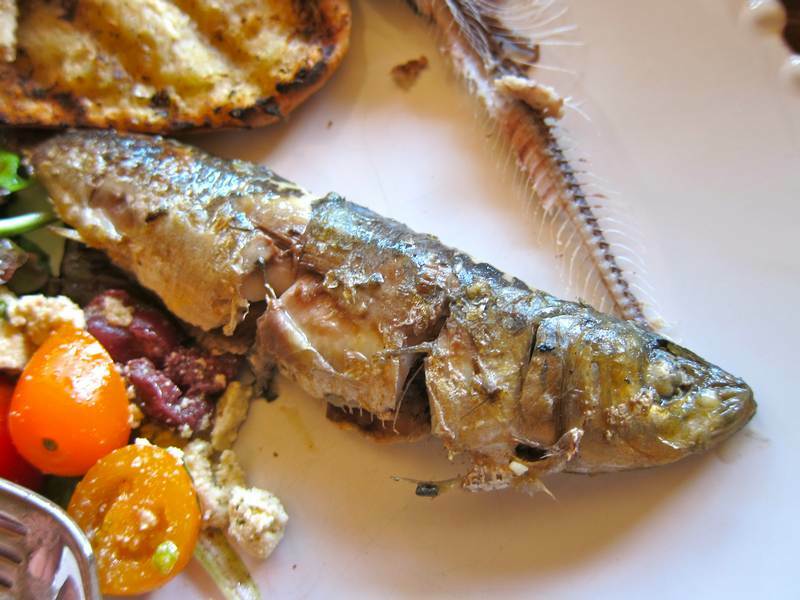 The sardines are golden brown when ready. Serve whole. The small bones are edible, but the backbone is easily removed and can be discarded after eating the delicious flesh on top. Truth be told it took me ages to get these fish from freezer to BBQ out of fear of failure. The more time that passed, the less confident I was that any good could come from this endeavour. No one was more surprised than I was at the ease of preparation and the delectable result. More truth be told, I do not BBQ. I manage to snare a BBQ maven and get him or her to stand over the gaz behemoth. Thanks to fearless BBQer John Miller for making my sardine dream a reality. Congratulations to Eveline, from Cote St. Luc for winning the set of Jittery Cook grocery bags. New draw starts now. And to my very dear Portuguese friend, Louisa Rodrigues. You are the real reason that I haven’t been to Portugal yet, because I only want to go there with you. Here’s hoping that we make it happen some day. « Swiss Chard Burger – Top Secret! 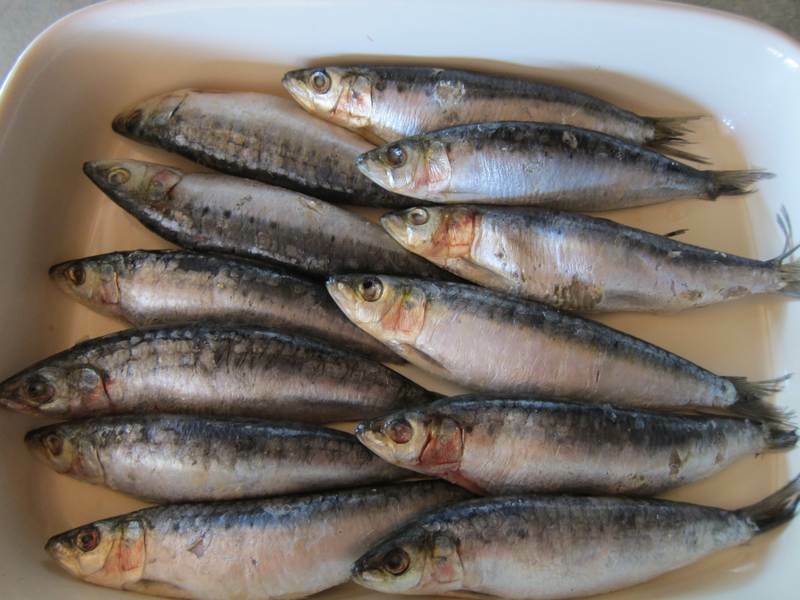 I am always amazed with fresh sardines, barbecue sardines sounds great and looks delicious. Thank you for sharing this one. This fish has a high nutritional value and tastes good.